Some resolution for hanging plot threads and the characters, but was it necessary? Many Babylon 5 fans are critical of Season 5. It’s clear why. Season 4 rushed to finish the Shadow War and Liberation of Earth arcs. By Season 5, the most interesting conflicts in the story had already been resolved. So Season 5 is in the odd position of introducing and resolving some of the lesser conflicts leftover from the previous four seasons. Unfortunately, it doesn’t provide resolution and the conflicts feel rushed. In addition, Season 5 marked considerable turnover in the cast and crew, most notably the introduction of Captain Elizabeth Lochley and the telepath leader Byron. I actually like both characters, but the show was forced to time introducing these characters when it should have been focusing on wrapping up the larger story. There are roughly two major arcs in Season 5. During the first half of the season, the show focuses on a group of Telepaths who seek refuge on Babylon 5. This continues the Telepath Underground arc that the show unceremoniously dropped when actress Andrea Thompson (Talia Winters) departed Babylon 5. I had actually enjoyed this arc and was pleased to see it make a reappearance. Telepath leader Byron (played ably by Robin Atkin Downes) adds a new dimension to the Telepaths. He’s a charismatic leader who, unlike Bester, seems to genuinely want what’s best for his people. Byron is also a pacifist, which forces a different type of conflict. To confront Byron, the Babylon 5 staff often have to cooperate with Psy-Corps and came perilously close to committing rights abuses against unarmed demonstrators. Byron seriously raised the stakes for our characters and for the larger Telepath cause. Paradoxically, the Telepath arc in Season 5 was both too long and too short. It was too long in that it distracted from our main characters. In fact, during the first half of the season, I would bet that Lyta Alexander and Byron had more screen time than any other characters. At the same time, for all the attention the Telepaths received, there was no conclusion to their story. Lyta begins masterminding a rebellion, with an ominous threat that she is some sort of super-telepath. It’s clear that there will be some sort of confrontation between Telepaths and normal humans, but the show never tells us what happened. The second story arc during Season 5 focuses on mysterious raiders targeting Alliance shipping lanes. It turns out that the Drakh forced Centauri ships to attack the Alliance in order to provoke a confrontation. Ultimately, Londo Mollari becomes emperor, but only after an Alliance fleet bombards his homeworld. Londo submits to the Drakh and is effectively under their control for the rest of his life. This arc had a lot of potential. I love the idea of Centauri Prime suffering some sort of poetic justice for the Centauri role in the Shadow War. Londo doesn’t – and shouldn’t – get to live happily ever after. Londo made a Faustian pact with Mr. Morden and has to pay the price. 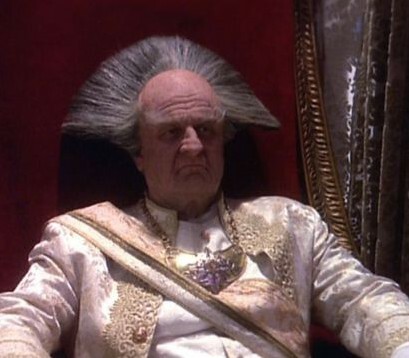 Ironically, Londo gets what he thought he’d wanted – becoming emperor of the Centauri – but in the most tragic way possible. He’s a shell of his former self, totally bereft of the joie de vivre that had been so crucial to his character during Season 1. The Drakh are a great solution to the problem of mind control. As is clear from my comments about Talia Winters’ fate and Mr. Garibalid during Season 4, telepathic mind control is not an interesting plot device. It robs characters of moral agency, which ultimately robs viewers of any emotional investment in those characters. My understanding is that the Drakh don’t simply control somebody’s mind, but rather apply physical or mental pressure to coerce their subjects to obeying their will. The subject is still conscious and can try to resist the Drakh, but only at a great price. For example, in “Objects at Rest,” we see Londo nearly pleading with Sheridan and Delenn to consider him a friend, despite everything that’s happened. That’s the real Londo struggling to get through. As we saw in “War Without End, Part 2,” Londo still had some capacity to end his own life. The fact that he did not do so sooner means that he lacked the willpower to surrender to death. The problem with this arc is that it just isn’t well executed. First, I had a hard time believing that nobody in the Interstellar Alliance could get information on these raiders. Don’t these ships have cameras? Wouldn’t somebody have called in an attack to their homeworld? It took way too long to get to the point where the Alliance discovered the Centauri role in the attacks. It would have been much simpler – and perhaps more interesting – if the conflict had instead been sparked by calls amongst the various alien races for reparations from the Centauri for its role in the Shadow War. Another problem: would the Drakh really want to provoke other aliens to bombard Centauri Prime while they were still on it? As with the Telepath arc, it’s also too much, too late. We don’t get a resolution to this story. The Drakh threat is never really addressed. Sheridan and the Interstellar Alliance don’t seem fully aware of the Drakh. The seem to realize that somebody on Centauri Prime used Shadow technology to control Centauri ships, but they punish the Centauri as a race rather than attempt to pinpoint the parties who used the technology. Moreover, unlike the Shadows, who were effectively paper tigers, the Drakh actually end the series on a triumphant note. It made me wonder why anybody worried about the Shadows at all when these guys were the real threat. As I’ve said before, Babylon 5 does not do standalone episodes well, but the writing had generally been good. However, in Season 5, I noticed more sloppy writing and gaps in plot logic. The episodes in this season are more likely to repeat information that viewers had already learned earlier in the episode. At times, the characters just come across as downright incompetent. For example, in “Day of the Dead,” perhaps the worst episode in the series, Captain Lochley sold part of the space station to an alien race. She apparently didn’t even bother to notify the people living in that section and didn’t suspect that the sale would cause problems. How can I respect the character after that? This season was generally a good one for the characters. Sheridan, Delenn, and the main crew members recede a bit into the background, which is fine because their stories have been told. Michael Garibaldi is rehabilitated as we see him cope with the psychological consequences of being so helpless in Season 4. I actually sympathized with the character when he started seeking solace in alcohol. Relapsing into alcoholism isn’t a very new or original character story, but it’s done well here. Garibaldi’s alcoholism hampers his performance at work, and if there’s one thing we know about Garibaldi it’s that he takes pride in his work. Ultimately, it seems fitting that he had to leave the station in order to find peace. I also liked Captain Elizabeth Lochley. She’s more than just a replacement for Susan Ivonova. Lochley is a tough, no-nonsense commander. She fought for President Clark during the war, which immediately sets her up for conflict with the rest of the main characters. She’s also on decent terms with Bester and brings a fresh perspective on the Psy-Corps (Bester apparently helped save her colleagues from a rouge telepath). She and Garibaldi get into several arguments early in the season, which pays off handsomely when she is the one to confront him about his alcoholism. If anything, I wish Lochley – or somebody like her – had been present earlier in the show to challenge the other main characters. .
Delenn’s assistant Lennier also gets a welcome – if surprising – amount of attention this season. 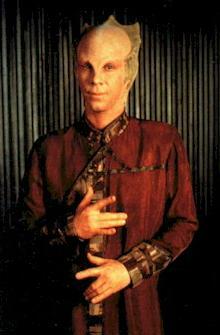 I’d always liked Lennier, but had considered him more of a secondary or even tertiary character. Bill Mumy plays him much like Leonard Nimoy played Spock, as a man who constantly struggles to control and repress his emotions. Now that Sheridan and Delenn are married, Lennier struggles to figure out how to cope with his unrequited love for Delenn. In “Objects in Motion,” the character takes a dark turn when Lennier refuses to open a locked to save Sheridan from leaking coolant. This was perhaps the only time that Babylon 5 truly shocked me. This act irreparably changed his relationship with Sheridan and Delenn, making his character arc the most tragic of all. I for one would love to know if and how Lennier can win their forgiveness. I was more disappointed with G’Kar’s characterization this season, which is surprising given how much I enjoyed his arc during the previous four seasons. 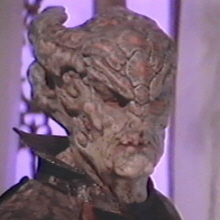 During the first few episodes, it’s as if the show tried to return G’Kar to his more comedic role in Season 1. His development over the season seemed less deliberate, more haphazard. I just did not believe that G’Kar would be asked to serve as Londo’s bodyguard. G’Kar himself was an ambassador. If Londo needed protection from a Narn, Ta’Lon, the quintessential Narn warrior, would have been a more logical choice. Moreover, given all that had occurred between them, would Londo really trust G’Kar? As much as I like the idea of G’Kar becoming a religious leader, it also happened far too quickly. In a single month, his book had been found, published, and elevated to the status of a holy text? Great idea, but rushed execution. Ultimately, although I certainly don’t hate Season 5, I can’t help but think that Season 4’s finale, “The Deconstruction of Falling Stars,” provided a better ending to the series than “Sleeping in Light.” Babylon 5 has always been less about characters than about plot. “Deconstruction” situated the story of Babylon 5 within the larger scheme of human history. It told viewers that the Shadow War, Liberation of Earth, and everything else we saw was part of history. All those loose plot threads ultimately wouldn’t matter 500, 1,000, or 1 million years in the future. I found that a refreshing way to look at the show. I was reassured that, although there were some plot threads left dangling, history always has some plot threads dangling. 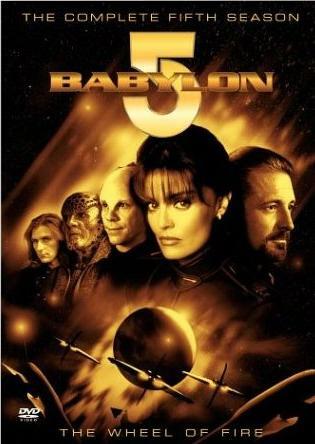 The last few episodes of Season 5 provide a much more satisfying emotional conclusion than “Deconstruction.” I’m glad that each of the major characters had a chance to say goodbye because Babylon 5 had really struggled throughout its run with the departures of major characters. And “Sleeping in Light” is a tear jerker. I’m sure that if I’d followed the show as it aired during the 1990s I would have cried. It portrays the gentleness of the Sheridan-Delenn relationship perfectly. Sheridan’s fate is bittersweet in the best way possible. But “Sleeping in Light” also leaves many key plot threads open. Which side won the Telepath War? Were the Telepaths wiped out? Did David Sheridan get infected with the Drakh device in Londo’s urn? How did the Interstellar Alliance defeat the Drakh? Whatever happened to Draal and the Great Machine on Epsilon III? Even assuming that the glimpse of the future Sheridan saw in “War Without End, Part 2” is accurate, Season 5 raised more questions than it answered. It’s a bit unsatisfying because in some ways the most interesting stories were the ones only glimpsed during this season. In some ways, I understand why some fans recommend stopping at the end of Season 4. Season 5 definitely stumbles and doesn’t provide a satisfactory conclusion to the story. But if you skip Season 5 you’ll also be missing some of the most emotionally satisfying moments the show has to offer.